Did you have a situation when you use several graphs, but there is only one screen? You need to open it all here, how to be? The solution was not long in coming - Emscripten technology, which allows you to transfer various complex codes to simple applications on the site. It is very convenient, and you can get it in the trading terminal IQ Option. 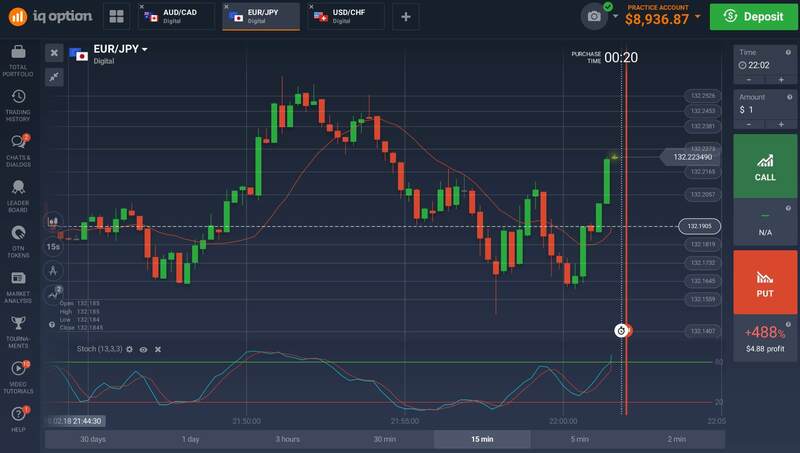 Many traders prefer to work with a simplified interface, and this distinguishes the IQ Option platform from many others. The introduction of new technology allows you to select the desired trading schedule quickly and open the necessary chart. It is simple and convenient; you can also easily minimize any window. The new technology also allows resizing windows so that you can see more graphs on one screen and can work with them simultaneously. History is saved for the movements of each trader. This is important for his development on the trading platform and for the analysis of his transactions, which had his strong and weak sides. Now users of the brokerage system IQ Option can see the history not only for the last week or month, but also read quotes for the last year. New software allows you to read the story even for the last two years. Now traders can use candlestick analysis easier. The period for their creation has become shorter and faster - it can be from 5 seconds to a month. The trader selects the necessary time scale, which is needed for the current transaction. The analysis has become more professional, so it is more convenient for the trader. New software allows you to have new types of indicators, including Awesome Oscillator, Parabolic Sar, as well as MACD and Stochastic Oscillator. IQ Option 4.0 - it is a convenience and more features. Many traders use the most popular tools - this is resistance and support lines. These are the best tools for trading stocks. But the new software allows you to use Fibonacci lines for this as well. This helps the user of the trading platform to make more exact forecast, as well as to obtain data on the correction of shares. It is used for long-term transactions. New software makes histograms smaller than diagrams. But this allows the trader to give the same information that he receives from the candlesticks. Each bar displays the price for opening a trade, different minima and maxima, periods of time, as well as the price when closing the underlying asset. New software is an application that the trader downloads and installs on his desktop. The program is adapted for Mac and Windows, and the functionality of this application would not depend on the performance of your working device.